One click and it fits. The exchangeable Click Domes are easily clicked into place. Made from super-soft silicone, they are available in different sizes that fit in almost every ear canal for a simple, quick and swift fitting. 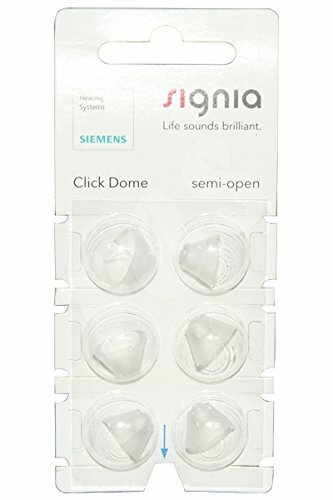 The double dome is for patients who require broadband amplification and more retention. Can also be used with a miniReceiver size P.